DoKett chain slings are conform to the requirements of DIN EN 814-4. 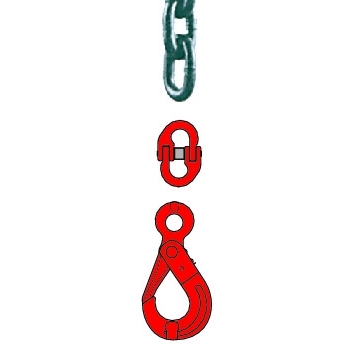 The grade 800 is a proven quality standard for chain slings, because this classification stands out through high stability, low dead weight, extra joint hardening, high wear resistance and a wide range of accessories. Due to the universal DoKett 1 system, all parts can be combined together by means of coupling links. The DoKett 2 system is unambiguous, because it only allows to link parts of identical nominal size. The universal system of grade 80 is DoKett 1. The linking of each single chain component together with the universal coupling link results in unlimited possible combination options. 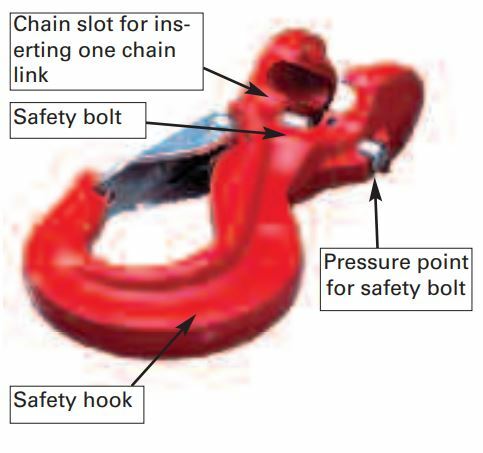 Therefore, huge crane hook master links of special sizes can be used. Any combination with wire ropes, round slings or lifting slings is assured. The use of DoKett 2 system avoids mistakes during assembling of chains grade 80, because only the linking of identical chains and components is possible. 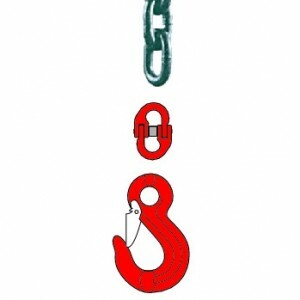 For example: A chain master link with a carrying capacity of 2.8 t with a twin-chain leg with tilt angle between 0° and 45° can only be assembled with socalled 8 mm (or 8er) components as 8 mm master links, 8 mm chains, 8 mm hooks, etc. Chain coupler allows motion clearance for chains and lifting parts to all directions. The connecting bolts are pivoted, and that can prevent partial wear as serves as an additional safety factor. A lot of possible combinations of chain components: No matter which kind of chain system is selected: the range of accessories is tremendous. 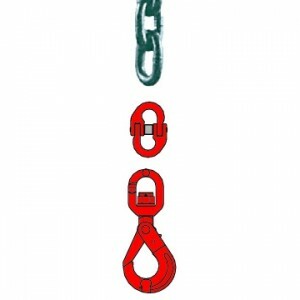 Different hook types, shortening options, master links, twist arrestors, and so on… Customized chain slings assembled for your particular area of use can surely be assembled. Use as hooks in chain suspension The sling shortening hooks are each hooked in the end of the respective chain leg. 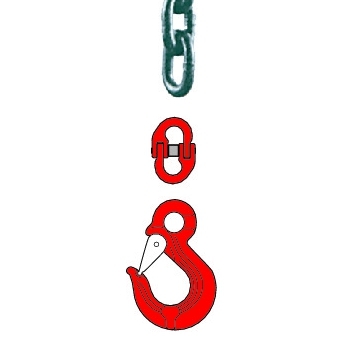 Use as hooks in symmetrically shortened chain suspensions The sling shortening hooks are each hooked in at the same height on the respective chain leg. This results in a chain suspension of variable length. The now excessive length of non-load bearing chain, is hung up with the appropriate spring clip or carabine hook. Use as shortening hooks in a chain suspension The sling shortening hook is asymmetrically hooked in the chains with the height needed. 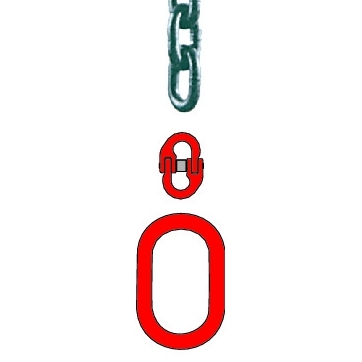 The now excessive length of nonload bearing chain, is hung up with the appropriate carabine hook. 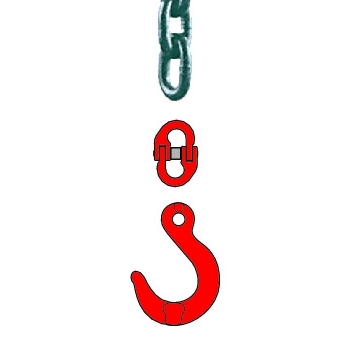 On the recommendation of BG, hooks used in the future in sling chains with shortening hooks must be of a type that incorporate a safety lock. DoClick-Hooks conform to these requirements: Shortening with interlocking and hook opening safety device. 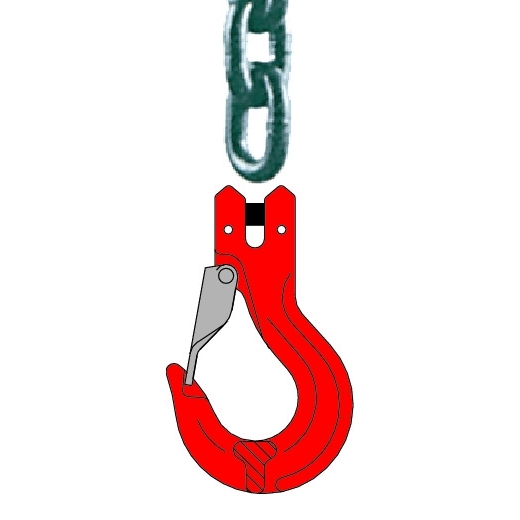 Your advantage: Shortening directly at the work site; a complete lowering of the crane hook is not neccessary. 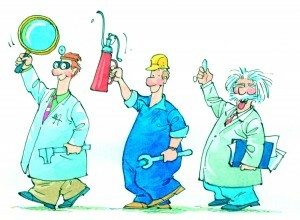 DoClick helps to save components, time and money. Seperate shortening hooks, master and coupling links are no longer neccessary, since the DoClick system combines sling hook and shortening element. Haven’t found the right chain sling, yet?